The Plaza of the Flags on April 12, 2018. Just two weeks prior, the plaza was filled with tents where some 180 homeless people lived. 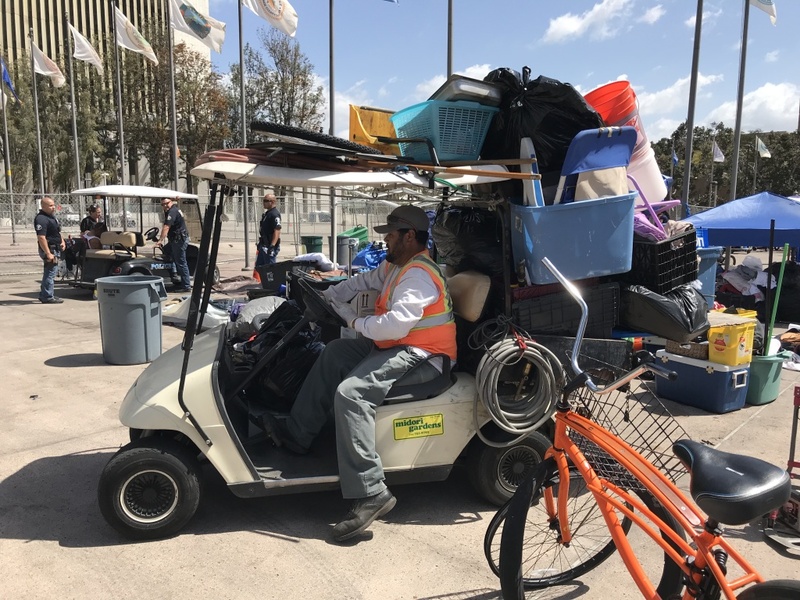 Officials in Orange County expect to finish clearing a large homeless encampment from the Santa Ana Civic Center this week. Early Thursday afternoon, just a handful of people were still packing up tents and other belongings in a corner of the Plaza of the Flags. Most of the concrete plaza — where more than 180 homeless people were camped up until a few weeks ago — has been cleared and fencing put up to block people from moving back in. It’s a stark contrast to the rows of tents and sun shades that for years filled this plaza in front of the main county courthouse. Bernard, 59, gets ready to leave the Plaza of the Flags, where he lived in a tent for eight years, bound for a homeless shelter in Anaheim. April 12, 2018. 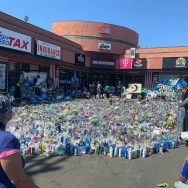 One 59-year-old man, who identified himself as Bernard, was getting ready to ride off on his bicycle for the last time — after living in the plaza for eight years. “It’s kinda sad,” he said. “You see the same people every day for years and years. You wake up with them, you sleep with them. It’s like a big, whole family in one place." 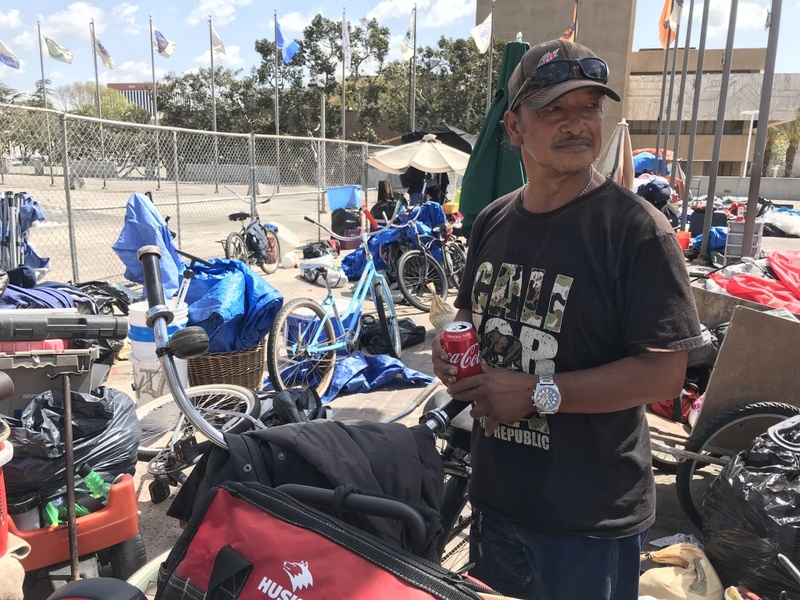 But Bernard also said he was hopeful that moving out of the Civic Center — for him, to a homeless shelter in Anaheim — will set him and his homeless family on a path toward permanent housing. “I guess it’s OK to get everybody moving,” he said. A worker carts trash from the Civic Center homeless encampment to a dumpster. April 12, 2018. 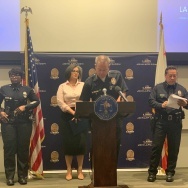 Under orders from U.S. District Court Judge David O. Carter, each homeless person living in the Civic Center has been approached in recent weeks by county health care workers, who were tasked with assessing individual needs and setting up appropriate housing and services. 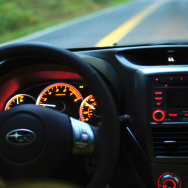 Most were referred to nearby homeless shelters, sober living homes or housing with accompanying mental health services. 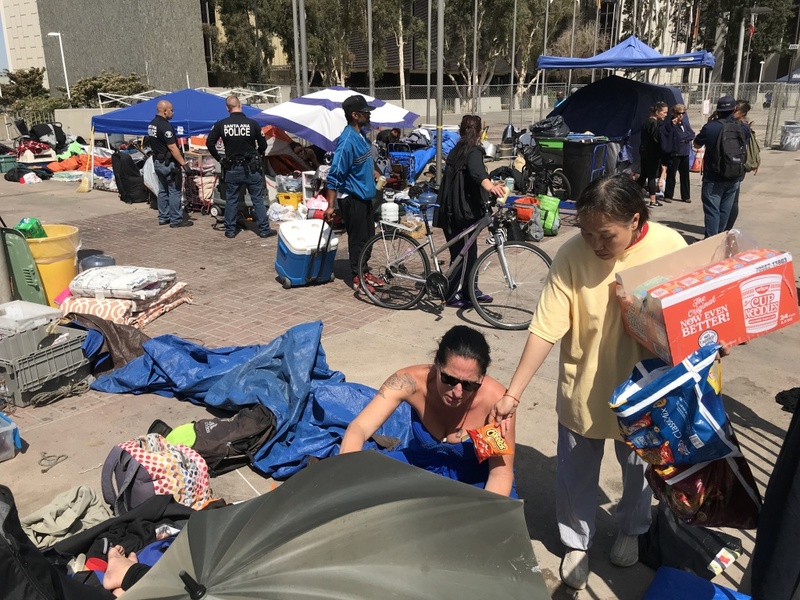 The judge oversaw a similar transition when county officials cleared out the sprawling Santa Ana River homeless encampment in February. Although in that case, the roughly 700 homeless people were given 30-motel stays before being moved to other types of shelter. 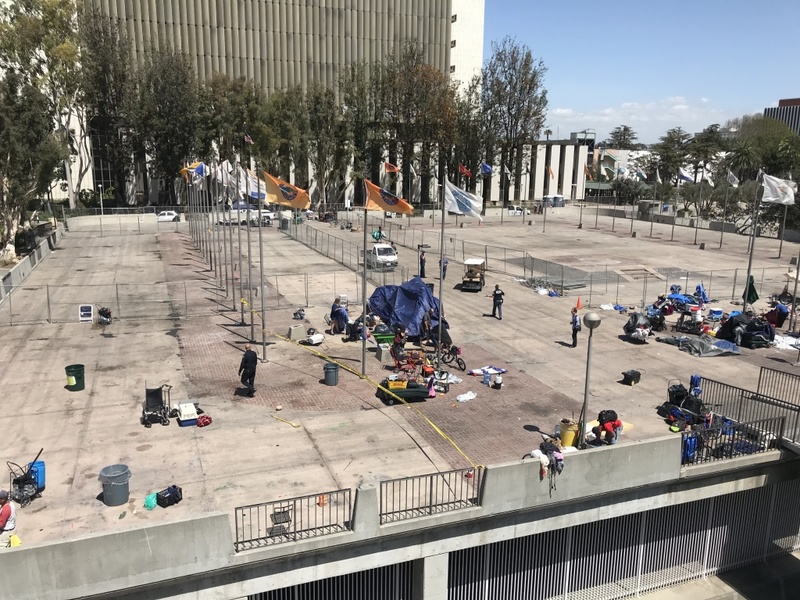 File: A large homeless encampment is formed on the "Plaza of the Flags" elevated park at the Santa Ana Civic Center complex Wednesday, Oct. 11, 2017, in Santa Ana. 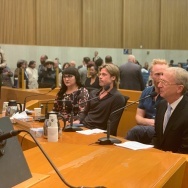 Morgan Denges, an advocate for the homeless with OC Catholic Worker, said he was hopeful that the process developed under Judge Carter’s watch would result in a system to transition chronically homeless people from the streets to appropriate shelter. He said he and other advocates would be following up with individuals to make sure they get the housing and services they need to address underlying problems, like addiction and mental health disorders. 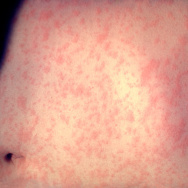 “It’s still an ongoing process,” Denges said. "Just because somebody gets placed in something that doesn’t work for them initially doesn’t mean that we can’t work out something better for them shortly." A volunteer hands out food to homeless people leaving the Civic Center homeless encampment on April 12, 2018. Judge Carter has also tasked the county board of supervisors and officials from OC cities to open additional homeless shelters. 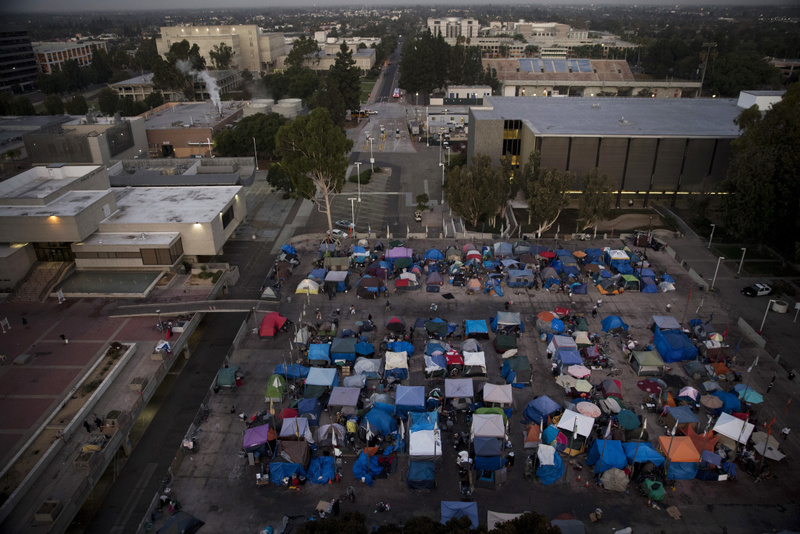 A plan from the board of supervisors to open emergency shelters in Irvine and potentially Huntington Beach and Laguna Niguel was cancelled after angry protests from residents and legal threats from officials in those cities. Mayors of south Orange County cities are scheduled to meet April 19 to discuss possible locations for new shelters. Meanwhile, Gov. Jerry Brown agreed this week to allow two cold weather shelters at National Guard Armories to operate for an additional 90 days beyond their scheduled April 15 closing date. The move staves off a potential influx of several hundred more homeless people onto OC streets.